Yeah, i need a breather. When i say breather, its communing to nature, and one of the best way for me to do it is to spend it is near the shoreline. Hearing the crashing sound of waves gives me the feeling of freedom and the same time endless possibilities of a good life. Topping off the list is the tranquility and peaceful experience of being far away from anything. An escape for the senses as i may say it. I just had the grandest vacation of my time when i spent 9 days in the Visayas – Negros Occidental – Cebu and Bohol to be specific. I went back for the weekends to be with my new officemates turned out to be good friends and perfect travel buddies in the future. I can say, I made the right choice being part of this team. Not only that we share the same passion at work, we also have the same perception in life and we all love Get Aways! Yey!!! 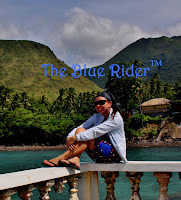 Laiya, Batangas is a place known for its white sand beaches and fishing villages. The site is naturally endowed with sandy white sand resorts, calm blue water and rich marine life in nearby snorkeling site. At the periphery are mountain ranges with coconut groves , hardwood forest and wildlife . This is just a perfect get away place for those living in Metro Manila but doesn't want to kill themselves on long travels. We left Makati exactly 8 AM as scheduled. Some came from rest, vacation, others have sleepless night but nevertheless, this will be a great weekend for us. Its my first time to mingle with these folks and they’re all so cool. We had a good laugh for the entire 4 hours of roadtrip. We arrived around Lunch time at Les Caraibles Beach Resort in Laiya, Batangas. We feasted ourselves with a sumptuous lunch and took a rest to recharge for the next activities. The resort offers varieties of food and tastes good too. Its way above what i expected, just suits my taste buds. Two hours after, we prepped ourselves for an afternoon beach bumming and to try some of the water activities that the resort has to offer. To name a few, they have Banana Boat Ride, Jetski, Kayaking and a whole lot more. When i got the chance to take a stroll, i took a picture of the rates for reference. Of course this vacation and beach activity will never be complete without a splash and a Banana Boat Ride! It’s one great and night for everyone. We got a glimpse of each other ins and outs may be at work or life. One thing that I loved most about team outing is that we get to discover a lot of things from our companies that we didn't realize ever existed if we are just working in the four corners of office. Yes, positively admitting that we got closer after this event. I am not a night person outside work, so I decided to call at a day earlier than the rest of the folks. I wouldn’t want to miss the sunrise the next day and of course, a short run on the seashore will also be great. As I walked along the shoreline, I cant help but recall my memories of Boracay and all I can do is smile while making my own division of the strips. For me, we stayed at Staion 2 equivalent in Boracay, it’s just the middle class resort where most crowd flocks. Just enough for me to enjoy the place :). I started my stroll from left to right if you are facing the water. People settling here are the more adventurous ones and budget-conscious travelers. Most of them set up their tents beside the beach. It’s a sweet morning walk as i get to exercise not only physically but also emotionally and mentally because I get to label and compare them to what ive seen in Boracay with lesser crowd of course. Laiya is truly an escape for my senses.I don’t just go to the beach for getting the heck of summer but I always go to find inner peace, just seeing the waves and hearing them crash the shores is music to my ears. And yeah, i wanted to retire and strategically position myself near bodies of water. Every time I look out into the ocean, I am reminded how powerful and amazing it is. It's mind boggling to think how many billions of gallons are contained in those seas. The fact that so many life forms inhabit all the seas gives me a pause. Have you ever wondered what would happen if the moon ceased it's holding power over those seas? It certainly gives a person a whole new respect for the oceans that grace our planet. And it's no wonder that life on earth would cease without them. So let’s keep on taking care of the vastness of our ocean for us to enjoy and live life to the fullest.